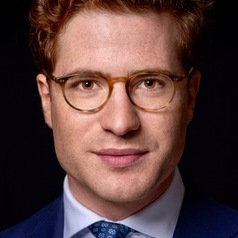 Thom Wetzer is a DPhil Candidate in Law and Finance at the Oxford Faculty of Law, the Oxford-Man Institute for Quantitative Finance and the Institute for New Economic Thinking at the Oxford Martin School. He is also a Pre-Doctoral Research Fellow at the Global Economic Governance Programme at Oxford's Blavatnik School of Government. His research examines incentive misalignments and the role of law in mitigating them, with a particular focus on systemic misalignments that generate systemic risk in financial systems. He also works on climate risk. Thom has been a visiting scholar at Columbia Law School, the Berkeley School of Law, and Yale University, and is currently a visiting academic at the Bank of England and an academic consultant at the European Central Bank. He has worked at the European Commission, Goldman Sachs, and De Brauw Blackstone Westbroek, and is a ‘Global Shaper’ at the World Economic Forum.